Stained Gun stock and sealed. 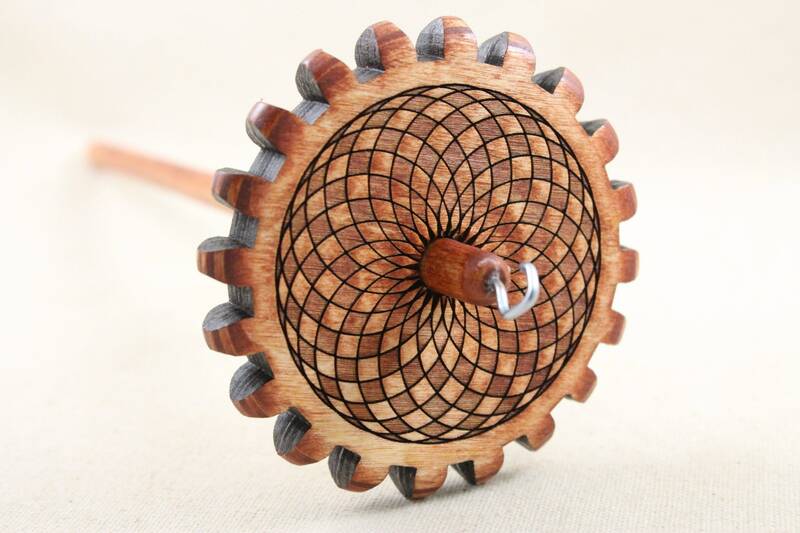 This unique shape is not just stylish but does what a good drop spindle does...spin. The center cutouts not only makes it lighter it puts the majority of the mass to the rim and that's a good thing. Who doesn't want 20 notches? 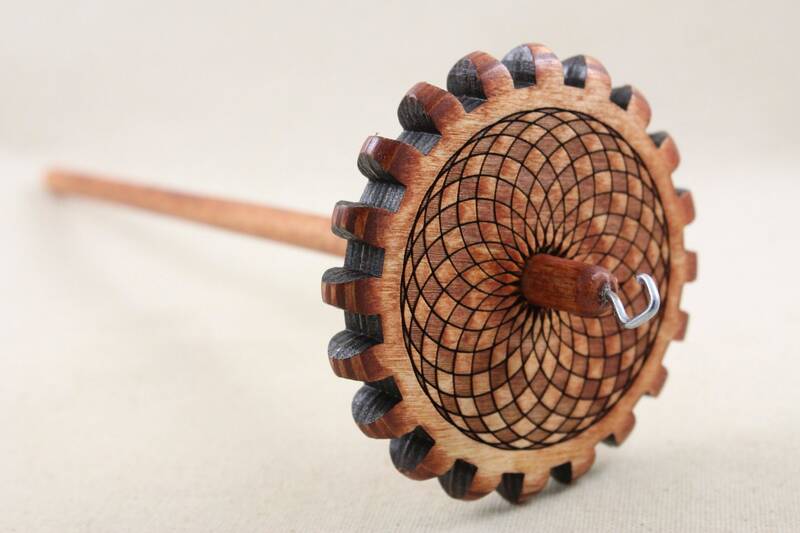 It spins great! And love the design. Fast shipping. Great customer service. Will be back. Was so freshly done it had the smell of the stain still on it! 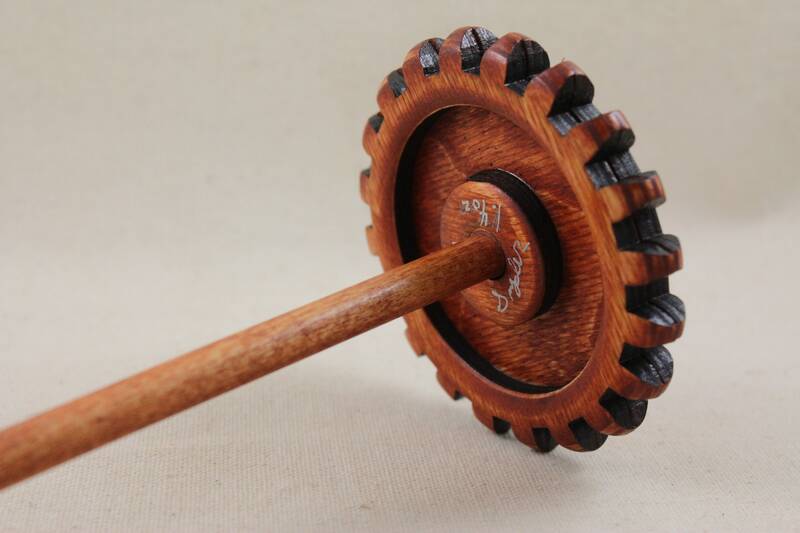 I ADORE Snyder's spindles and Scott is such a nice person to do business with.I love using these. 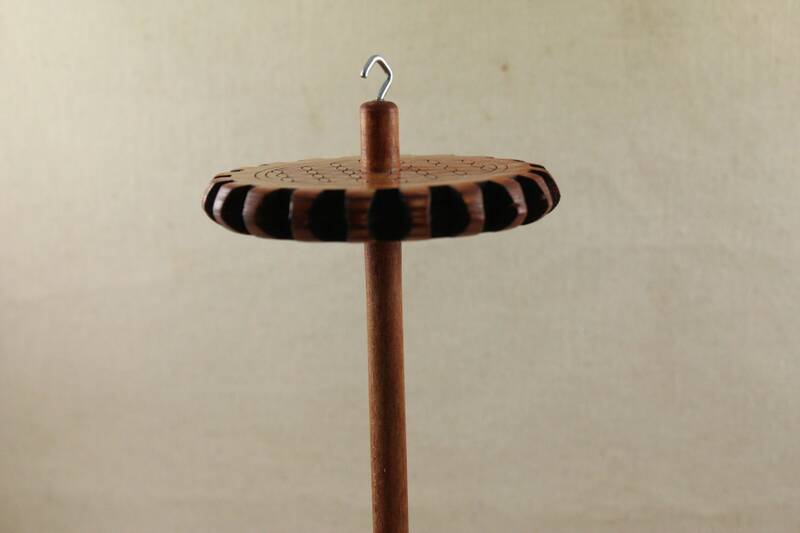 Its a beautiful spindle, nice 3 inch whorl, perfect weight, balanced and spins easy and long.